South Carolina Senator says the next president, whoever he may be, should negotiate with Iran – not Obama, who is not respected by Iran. 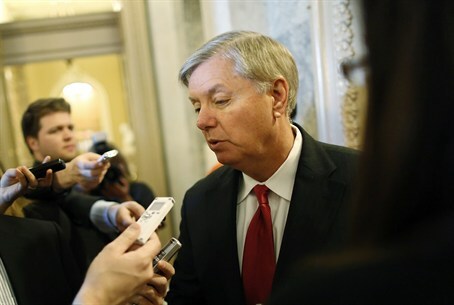 Senator Lindsey Graham (R-SC) called President Barack Obama “a flawed negotiator” Sunday and said that he should leave the job of reaching a deal with Iran to his successor. "The best deal, I think, comes with a new president," he stated. "Hillary Clinton would do better" than Obama has done in negotiating with Iran, Graham opined." "I think everybody on our side, except maybe Rand Paul, could do better." Graham explained that Obama was not feared or respected by the Iranians, and wasn't trusted by US allies.